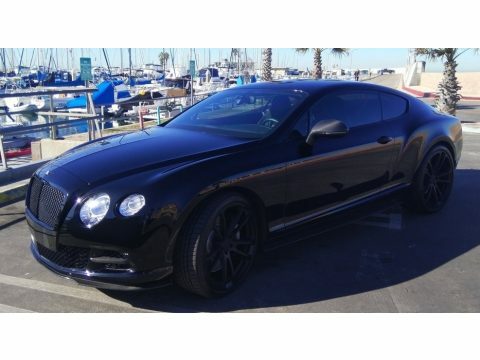 2014 Bentley Continental GT Speed for sale in Hermosa Beach, CA 90254 This Bentley Continental GT Speed is powered by a 6L 12 Cylinder gas engine, paired with an Automatic Paddle Shift Transmission. There is only 10,500 Original miles on this Bentley. This beauty is shown in Black, has been garage kept and is non-smoking. Features: Leather Interior Heated and Cooled Seats Navigation Bluetooth Factory Alarm Keyless Entry and Start Backup Camera AM/FM/CD Player with Screen 22” Wheels with New Tires Bentley Carbon Fiber Package Please call (402)502-8385 for more information. ATTENTION BUYERS *Caveat Emptor* Please Remember to Inspect Vehicle Prior To Purchase!